I've been very busy of late, cutting and pinning with the odd bit of sewing thrown in for good measure! 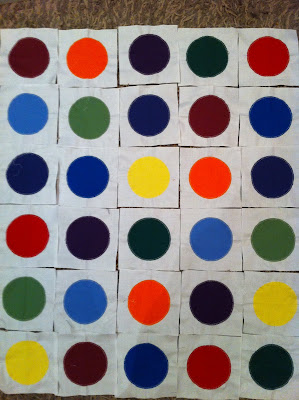 I've sewn all the circles on to the squares and now I'm just taking my time with the design. I normally lay it out in a pattern take a photo, stand back and admite or jiggle it about a bit and then start again from scratch the next day until I'm happy. I have to be happy! 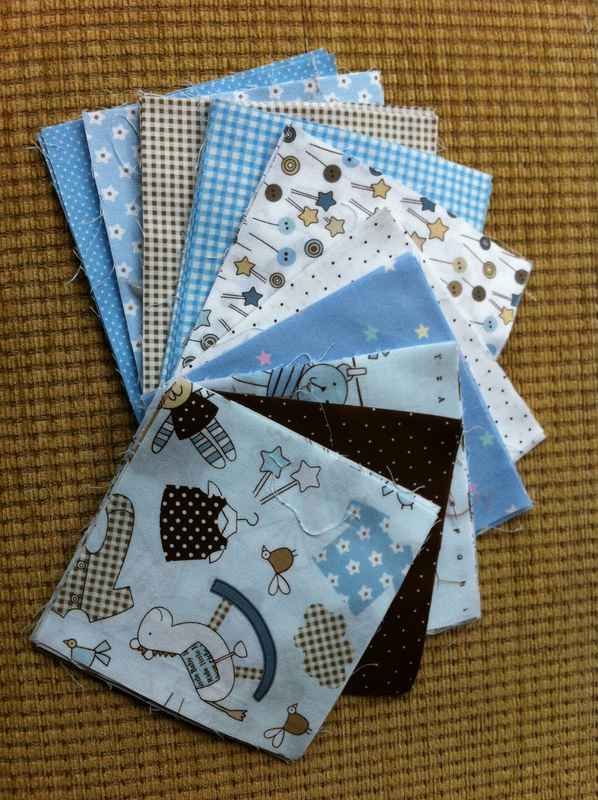 …and then there's my little pile of squares for my puffball, all ready and just crying out to be pinned!